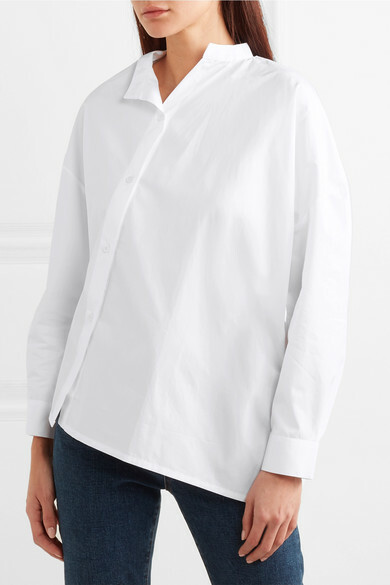 Totême reinterprets the wardrobe staples you can't live without, and a classic white button-down is definitely one of them. 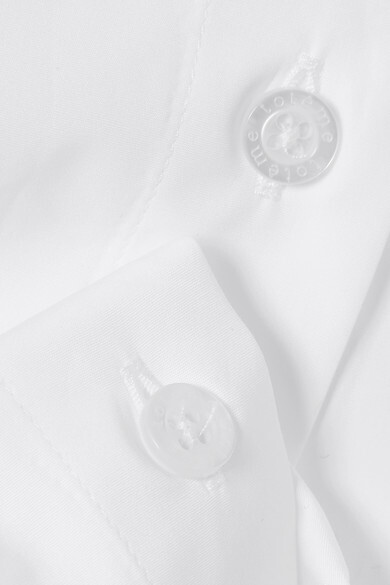 Made from crisp cotton-poplin, this 'Noma' shirt has a neat stand collar and an asymmetric placket traced with pearly white buttons. 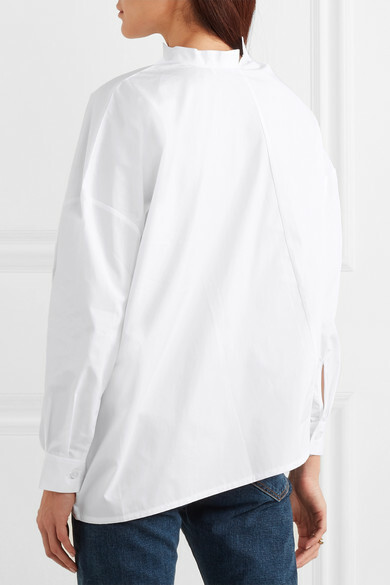 Tuck the curved hem into the label's 'Flair' jeans or leave it loose over tailored pants. 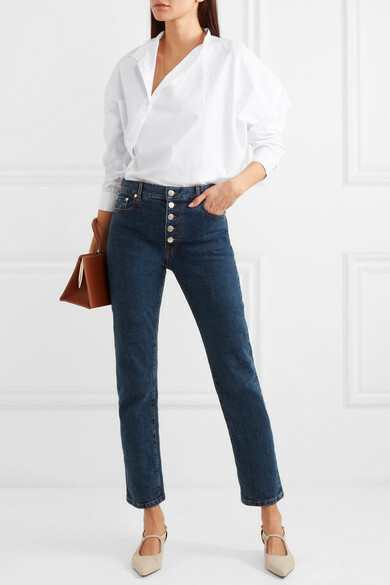 Shown here with: Joseph Jeans, Ratio et Motus Tote, The Row Pumps, Paola Vilas Ring, Victoria Beckham Necklace.